Beating Traffic: Time to Get Unstuck explores why, when and how congestion occurs, the part that you play in it, and what you and your family can do to reduce the negative effects of traffic congestion on your lives. Traffic congestion is not a pre-ordained state of affairs, and it is not you and I and the other car drivers who should have to live with it or bear the sole responsibility for fixing it. Decades of often well-meaning but horribly bad planning, and the conscious exploitation of real estate, have lead to most things being in the wrong place, too far from where everybody is and where everybody wants to go, so that the only way to get anywhere is to climb in the car and join the endless queues along the highways and local streets. There are no quick fixes to the problem. Congestion charging is being promoted in many of the world”s major cities as the ultimate solution. But turning the right of driving a car enjoyed by anyone into a privilege enjoyed only by those who can afford to pay the tolls charged by governments will only serve to increase the already wide chasm between the haves and the have-nots in the world. 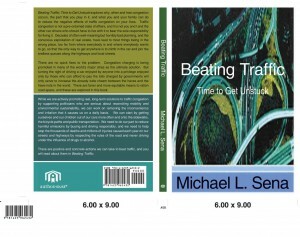 There are fairer and more equitable means to ration road space, and these are explored in this book. While we are actively promoting real, long-term solutions to traffic congestion by supporting politicians who are serious about reconciling mobility and environmental sustainability, we can work on removing the inconvenience and irritation that it causes us on a daily basis. We can start by getting ourselves and our children out of our cars more often and onto the sidewalks, the bicycle paths and public transportation. We need to do our part to reduce harmful emissions by buying and driving responsibly, and we need to help stop the thousands of deaths and millions of injuries caused each year on our streets and highways by respecting the rules of the road and never driving under the influence of drugs or alcohol. It was the Neapolitan philosopher and professor of rhetoric at the University of Naples, Gianbattista Vico (1668-1744) who said: “We cannot know who we are unless we have an understanding of how we became who we are.” In these few words are found both the purpose and the theme of this book. Vico postulated that knowledge of what it means to be a person in our own time results from not only assembling historical facts, but also from our capacity as humans to attain understanding through our own imagination. This book is a combination of patches of facts, beginning in the first century B.C., and the exercise of my imagination to sew together these patches into a fabric representing the history of a family. The facts belong to everyone; the threads of fantasy are unique. As you read Conversions, exercise your own imaginations to create your personal cloth. Francesco Vincento Arcangelo Rosati was a simple man who had a complex life, like most of us. When he was a young boy growing up on a farm in the hills of central Italy, he had no idea that he would be taken on a journey from his pastoral home to the coalfields of the eastern United States. He emigrated to America, but unlike many of his countrymen and fellow Europeans in the late nineteenth and early twentieth centuries, he did not leave home to seek riches and a new life. He had a comfortable life in a city in southwest Luxembourg where he and his wife, Rosa, lived with their two children, Celeste and Elena. Circumstances, not dreams, pushed him farther away from his ancestral home and his and Rosa’s families. Once in America, however, he seized the opportunity to build something better than he had in pre-war Europe. 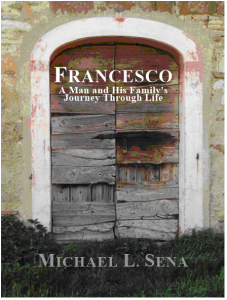 He found the means to feed his family, a family that grew when Maria and Jolanda arrived, to build a new homestead, to see his children happily marry and prosper, and to become a grandfather, whom we called Nonno Checco (pronounced cake-oh).